We’re Opening in Brentwood, Missouri! 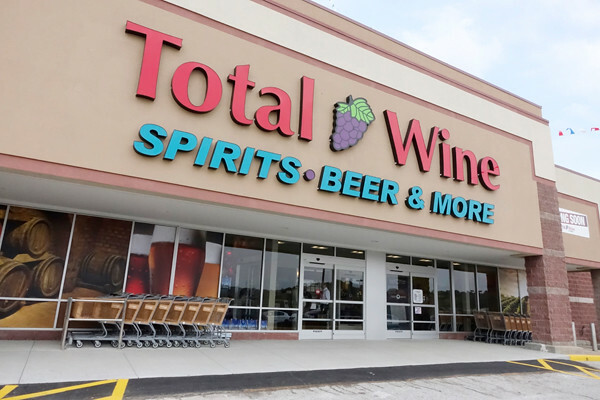 Get ready Missouri – we’re opening a new Total Wine & More in Brentwood on October 15. You may now do your happy dance. You heard us right! We’re opening our second store in the greater St. Louis area, at the Promenade at Brentwood, and we want you to help us celebrate our Grand Opening. 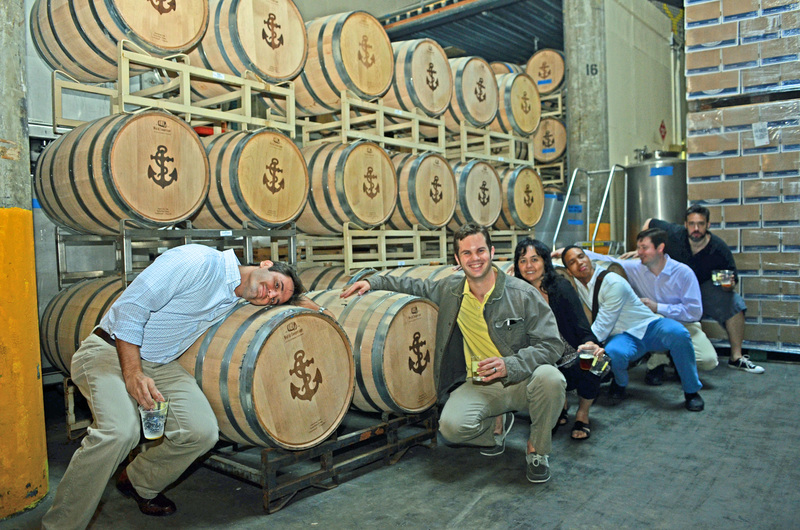 The fun starts at 4 p.m., so plan on stopping by for tastings and events with wines and spirits including Caymus, La Marca Prosecco, William Hill Estate, Whitehaven, The Calling, Joseph Carr, Girard, Absolut Vodka, Gentleman Jack and Jack Daniel’s Single Barrel, plus a special Woodford Reserve bottle-engraving. During our Grand Opening weekend, you can shop and support a local cause at the same time. Join us October 15-18 to help support The Muny. 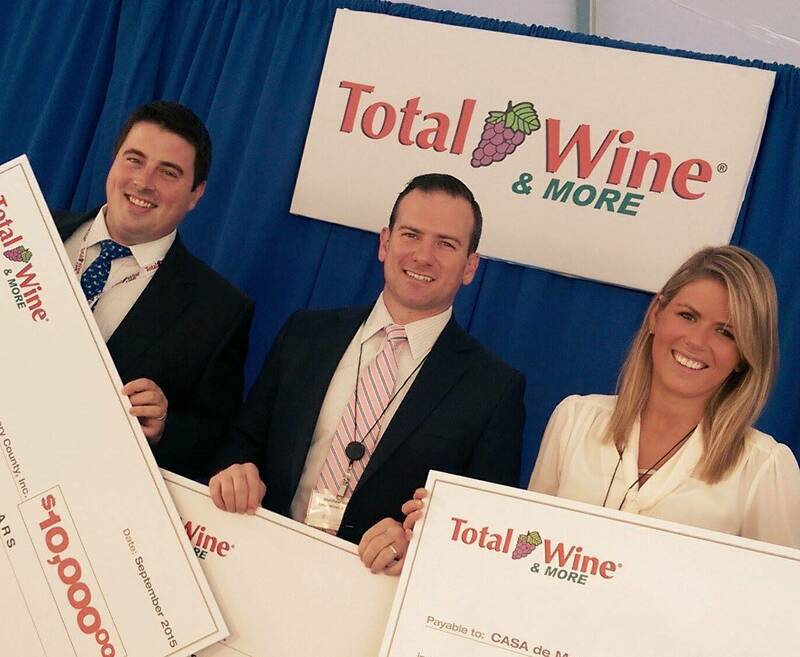 Total Wine & More will donate a portion of our Grand Opening sales during this time to the association. Did you miss the Grand Opening of our Town & Country store? If you did, or have never been to one of our stores before, click the photo below and take a look at what you can expect at our Brentwood #totalwineGO this weekend! Bring your friends, family and coworkers — and don’t forget to make everyone who misses out jealous by posting your fun Grand Opening experiences (#totalwineGO). We’ll be posting the latest updates to our Facebook, Twitter, Instagram and other social media channels, so connect with us to stay totally up-to-date. 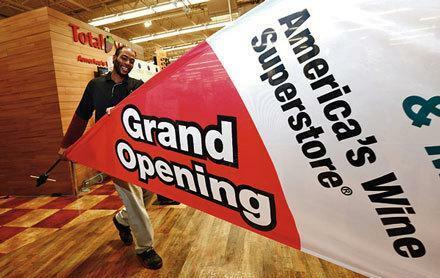 We can’t wait to see you at our new store! 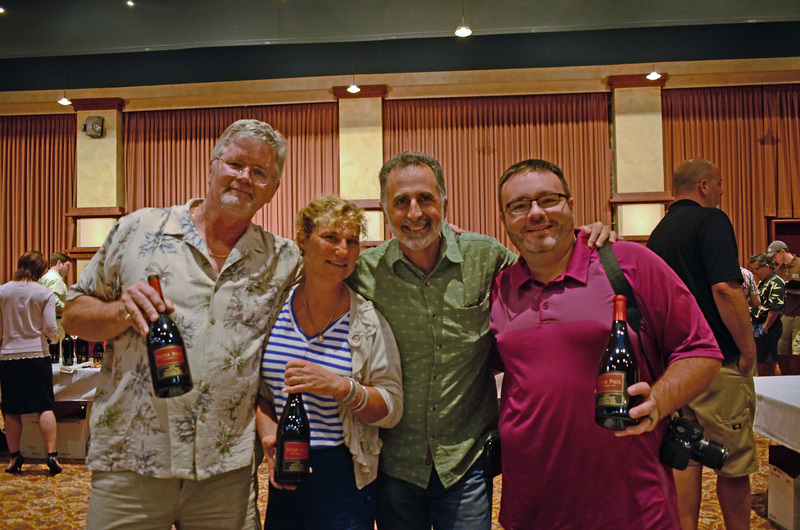 Wine and Beer Classes for July: Take Your Knowledge to the Next Level! The kids may not be in school in July, but that doesn’t mean the adults can’t head to class and brush up on their knowledge. Wine and beer knowledge, that is! Join us this month for the following beer and wine classes! 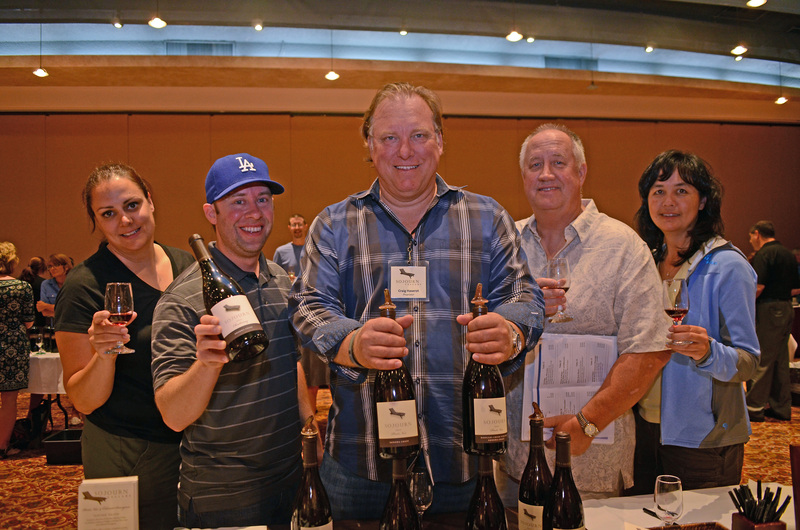 Also, don’t forget about the Caymus livestream wine tasting featuring Owner Chuck Wagner and Family on July 11th either. Click here for more details on that event. July 16 or 17 (depending on class location). Seats are $15 per person. Register online for your local class by clicking here. 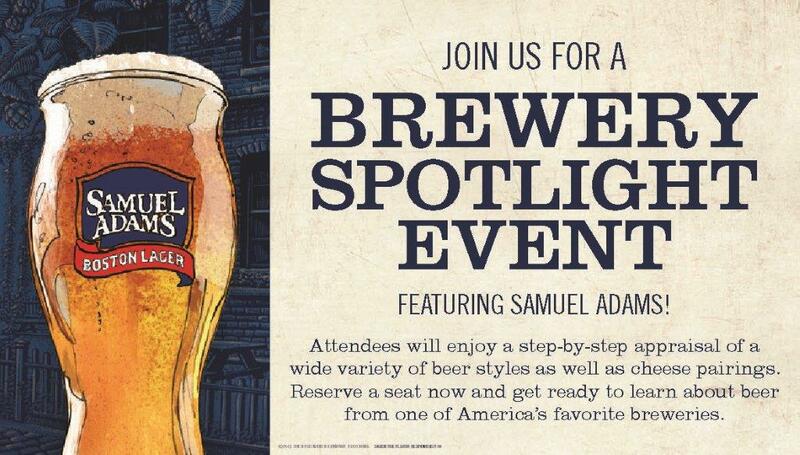 Join us for a brewery spotlight event featuring Samuel Adams. Attendees will enjoy a step-by-step appraisal of a wide variety of beer styles as well as cheese pairings. 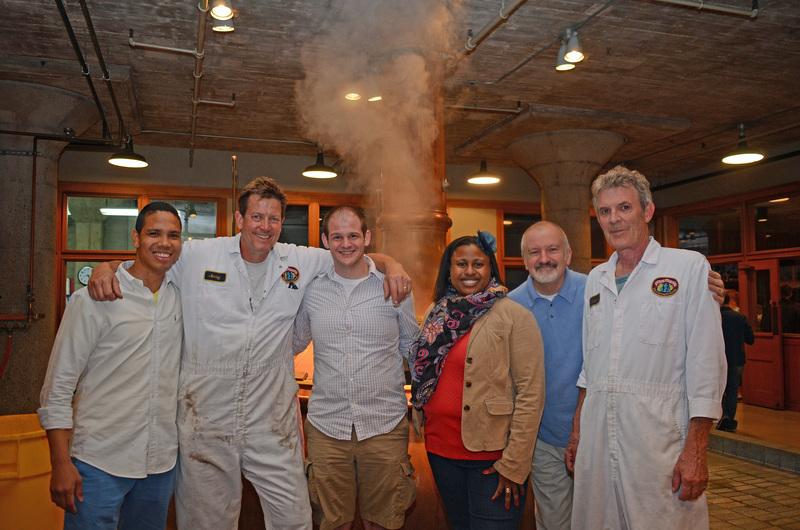 Reserve a seat now and get ready to learn about beer from one of America’s favorite breweries. July 23, 24 or 25 (depending on class location). Seats are $20 per person. Register online for this class by clicking here. Back by popular demand, this fun and thought-provoking class will offer attendees the opportunity to blind-taste eight delicious wines. Learn how to develop tasting skills as you identify unlabeled wines by qualities such as color, acidity and aromas. 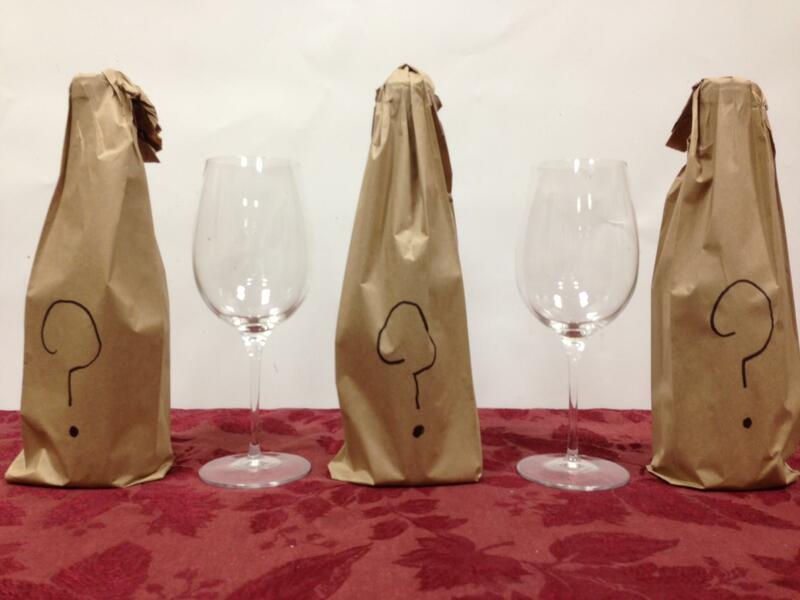 Wines will be paired off and tasted blind for all to compare. Each pair will be crafted from identical grape varieties grown in different parts of the world. Which wine will be declared the winner? Only you can decide! Please join us Sunday, April 19 for an exclusive live-via-webcast guided tasting featuring a selection of winemaking superstar Michel Chapoutier’s incredible wines. Since 1808, Maison M. Chapoutier has cultivated its vineyards with the greatest respect for nature and soil. Michel Chapoutier took over his family winery in 1990 at age 26 and has since become one of the most highly regarded winemakers in France. 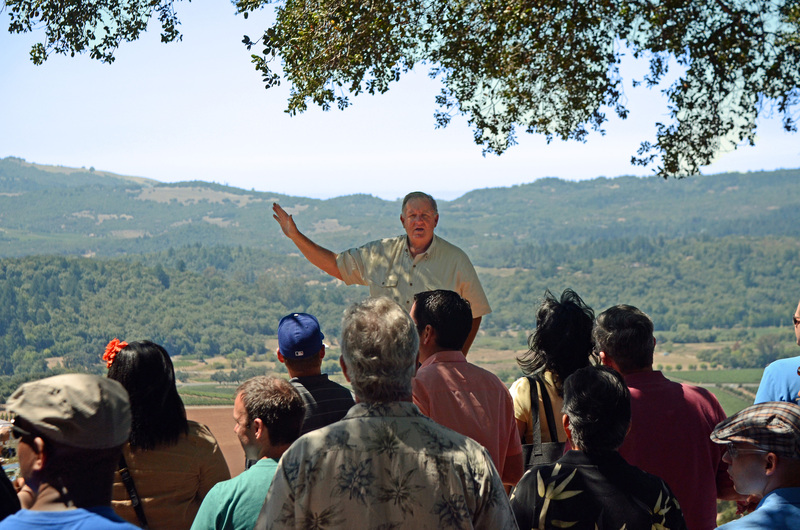 A visionary, Michel works tirelessly to perfect the art of wine with each vintage. As a pioneer of biodynamic winemaking in the Rhône Valley, he insists on meticulous vineyard management in harmony with the earth, ensuring that his wines show full expression of the soil, the grape variety and the vintage. 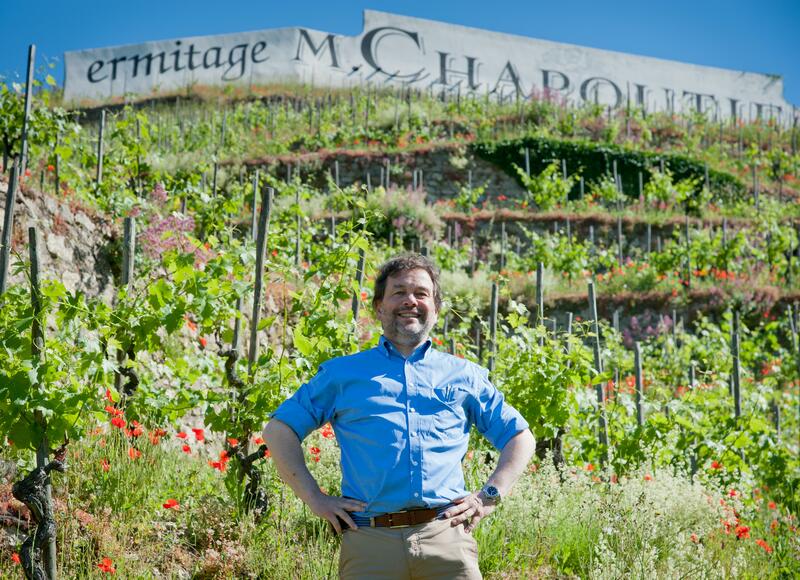 Today, Michel Chapoutier has received more 100-point scores than any winemaker in the world! Purchase tickets for this exciting event at your local Total Wine & More location by selecting your store below. “To decant or not to decant,” that is the question. But it’s not a complicated one if you follow a few simple tips. First, if the wine is likely to “throw a deposit,” you should decant. 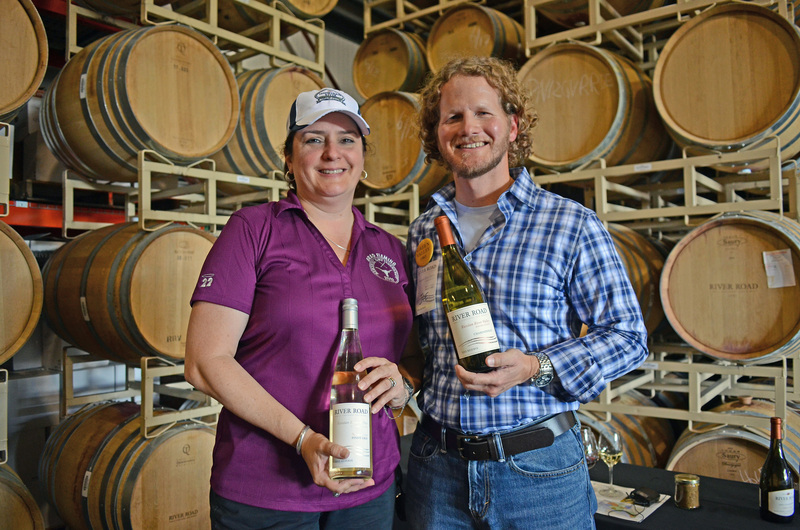 Deposits form as substances naturally precipitate out of the wine and fall to the bottom of the bottle. Although harmless, these gritty substances can prove unpleasant should they enter your glass. 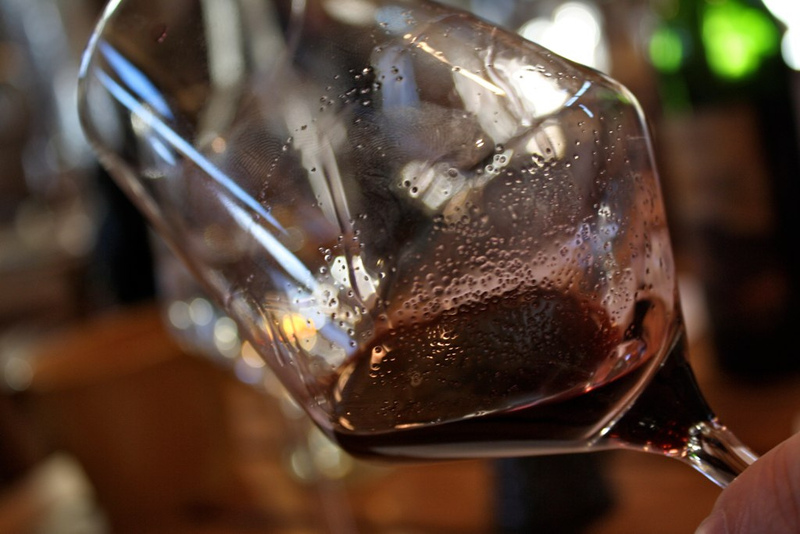 Older wines and unfiltered wines often contain such deposits, and the bigger, deeper red wines, such as Cabernet Sauvignon, Merlot and Syrah are more likely to have a deposit than are lighter reds like Beaujolais. If you wonder whether a wine is unfiltered, check its label or its winery’s web site. Next, consider whether a little air will improve the wine’s flavor. Decanting allows wines—mostly red—to aerate before serving, softening astringent tannins and integrating flavors before entering your glass. Absent decanting, many otherwise excellent wines may prove disappointing simply because they need to “open” and take in a little air. Wines that benefit most from air exposure are those featuring high tannins—usually dark and full-bodied selections such as Bordeaux blends, Cabernet Sauvignon, Syrah/Shiraz, Cabernet Franc, Merlot, Malbec and other similarly intense reds. Before you decant, rest the wine for a day or two in an upright position to allow sediment to settle at the bottom. Then find a decanter or container that allows a wide surface of the wine to come in contact with air. After opening the wine, gently pour it into the container, working to keep the sediment below the neck of the bottle. You may need to leave a little bit of wine in the bottle to avoid pouring sediment into the decanter. 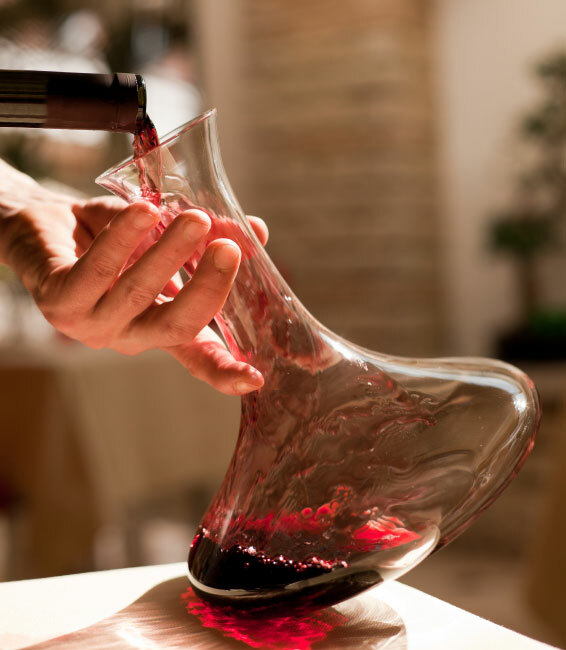 Decanting time varies from 20 minutes to several hours for really concentrated and intense red wines, such as a premium Bordeaux or some intensely tannic Shiraz wines from Australia. Sampling the wine as decanting continues may be your best guide, which is particularly important when decanting older wines. Really old wines—those with a decade or more of bottle age—may quickly degrade and lose flavor after even a few minutes in some cases. For these wines, gently decant to remove any deposits, but then follow with careful monitoring to ensure the wine is consumed in its best possible condition. Some really old wines you may want drink right away. When your wine is ready, it’s time to sit back and enjoy! For day one of the “Bowtie Diaries” click here. It would be remiss if we didn’t see André Lurton and Lucien Lurton’s properties while in Bordeaux. So, we dedicated our second day of travel to doing just that. The Lurton family name is synonymous with excellent Bordeaux wines. 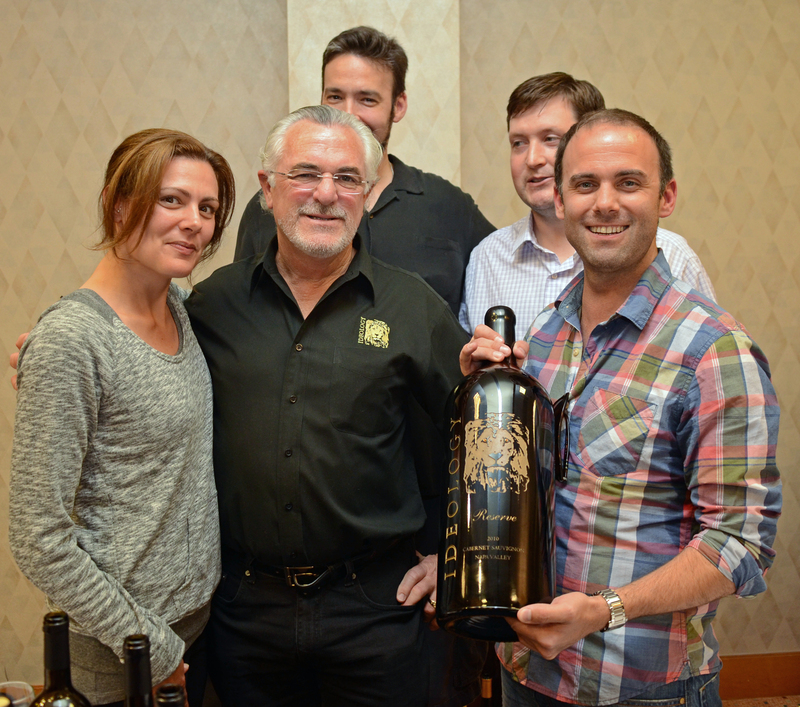 Siblings André, Lucien, Simone and Dominque have all been a part of the wine business since their parents, François and Denise Lurton, first started Château Bonnet in the early 1900s. On this trip we focused on the properties of the two brothers, André and Lucien. André still runs most of his properties along with his children, while Lucien stepped out of the wine business some years ago and his 10 children manage and operate all of his properties today. One of André Lurton’s most famous properties is Château La Louvière, which he purchased in 1965 and is located on the Left Bank. The Left Bank is made up of three main regions: Médoc, Haut- Médoc and Graves. Château La Louvière is located in the southern part of the Left Bank in the region of Graves, Pessac-Léognan. In the Left Bank, the grape that is most commonly grown is Cabernet Sauvignon. Château La Louvière produces highly rated Cabernets (90+ from Wine Spectator) on a beautiful estate that dates back to the 16th century. So beautiful, in fact, that the estate is listed on France’s Inventory of Historical Monuments. We spent the morning taking a tour of the chateau with Veronique Bouffard, who is head of communications at La Louvière. Here, even the bathroom is a work of art. 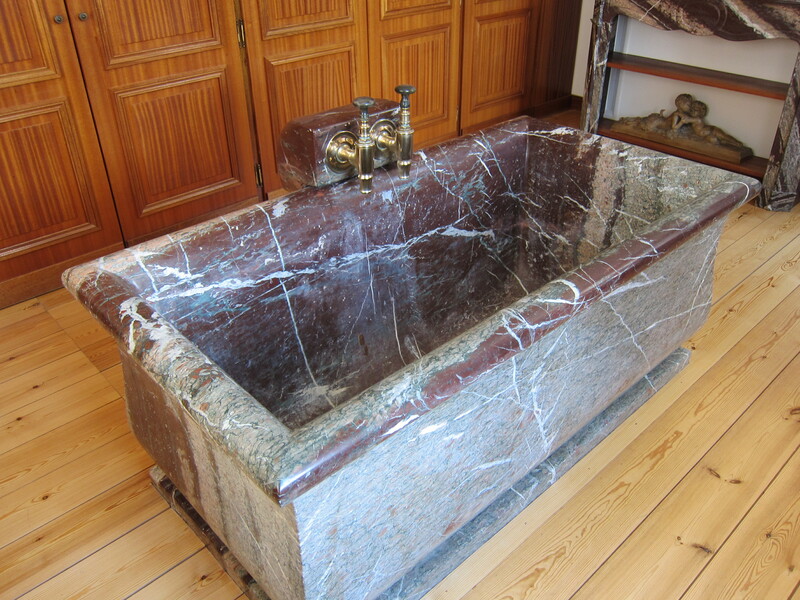 Check out the marble tub from 1791 that is still in use today! Before making our way north from Graves into the larger region of the Left Bank, known as the Médoc, we were off to one of Lucien Lurton’s properties, Château de Camarsac, in Entre-deux-Mers. Entre-deux-Mers (literally “Between Two Seas”) is located between the Garonne and Dordogne Rivers that lead into the Gironde estuary. With one of the largest appellations in Bordeaux, Entre-deux-Mers has 7,400 acres of vineyards that produce white wine (such as Sauvignon Blanc, Sémillon and Muscadelle) and red wine (mostly Merlot, which is sold under the name Bordeaux Supérieur AC). At Château de Camarsac, we met up with François Villars, who works for La Passion des Terriors, one of the top négociants in Bordeaux for selling and distributing Lucien Lurton wines, as well as Thierry Lurton, who owns and lives at the château with his wife and two children. 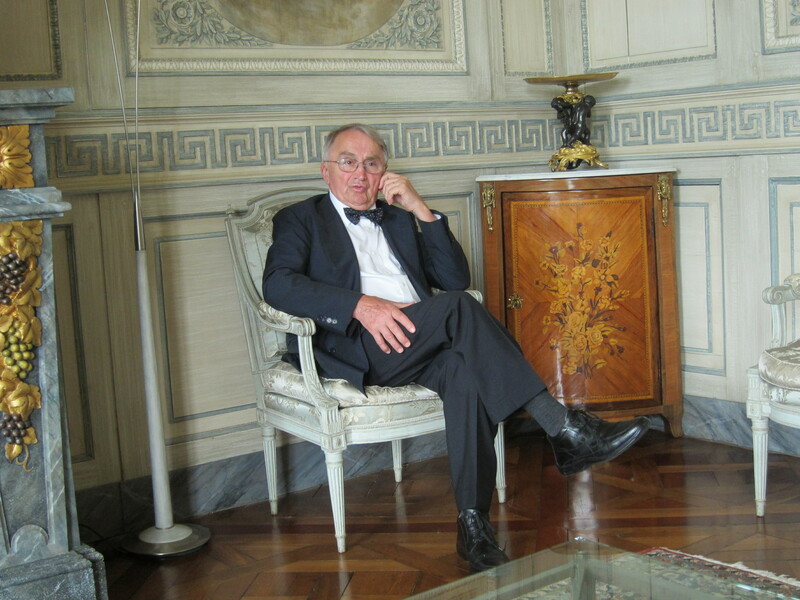 Thierry is one of the six sons of Lucien Lurton who purchased the 12th century château in 1973. When not focusing on producing their signature wine, Château de Camarsac Bordeaux Supérieur, Thierry and his family spend their time slowly renovating the back half of the castle that was damaged after it caught fire in the 18th century (yes, it’s still under construction). One interesting observation about Château de Camarsac is that some of the windows in the front of the château are bricked in. While one may think that this has something to do with the fire, it actually dates back to the 18th century when there was a property tax based on the number of windows in a house. To avoid the tax, some châteaux in Bordeaux, like Château de Camarsac, bricked-up the window spaces. Back on the D2 – or Route des Châteaux, the main road that runs through the majority of the wine country along the Gironde estuary – we were on our way to our final stop of the day, Château Haut-Bages Libéral in Pauillac. Pauillac (pronounced POY-yac) is considered the wine capital of the Left Bank. It is the world’s benchmark for the Cabernet Sauvignon grape; the gravelly soils here provide the optimal drainage needed for the grapevines. Some of the most exclusive châteaux are in Pauillac and neighboring Château Haut-Bages Libéral, including Château Latour and Château Pichon-Longueville-Baron. 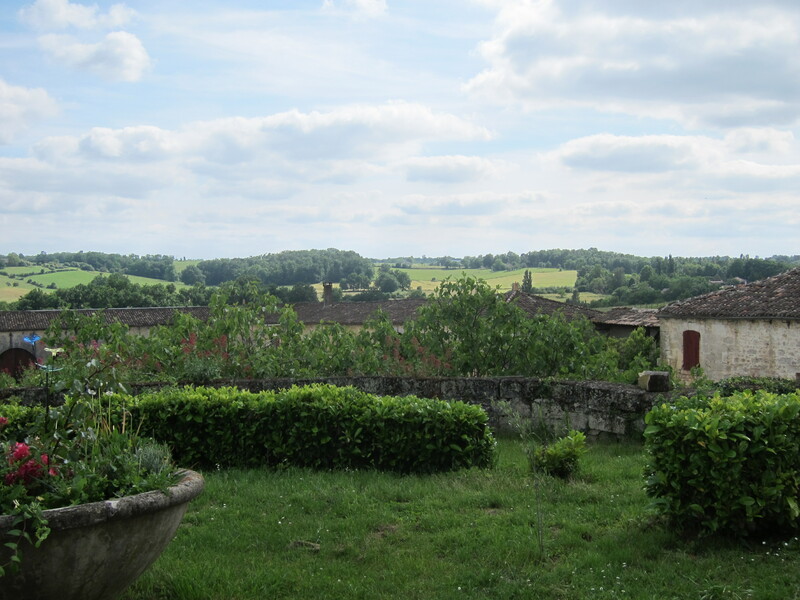 Thus, the location of Château Haut-Bages Libéral makes the wines that they produce one of the best kept secrets in the Left Bank, as they are often a fraction of the price (though still north of $70) of their famous neighbors. 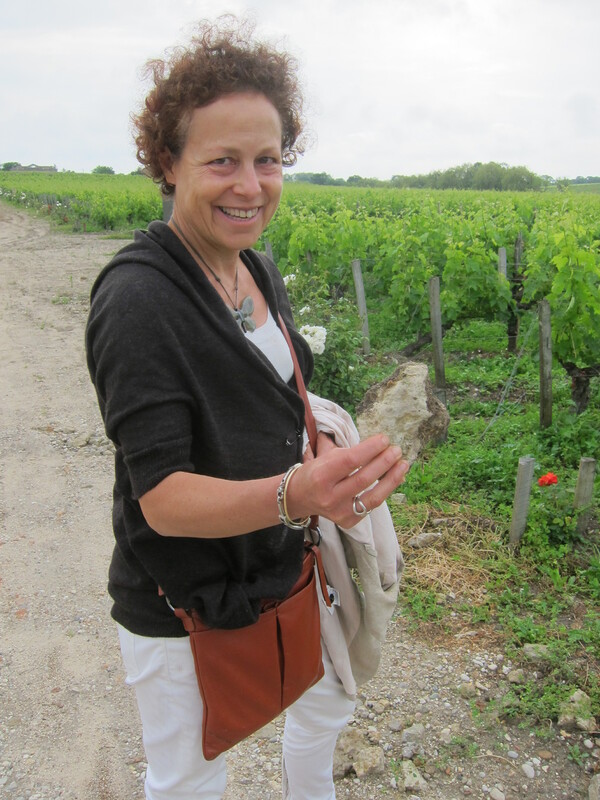 The proprietor of Château Haut-Bages Liberal is Claire Villars-Lurton, Gonzague Lurton’s (son of Lucien Lurton) wife and sister to François Villars. The name of the property originates from its geographic location — virtually atop the Bages plateau between Pauillac and Saint-Julien, a commune north of Pauillac — and the first owners of the estate, the Libéral family. Claire was a very gracious host, as we spent the remaining evenings of our trip staying at her château. 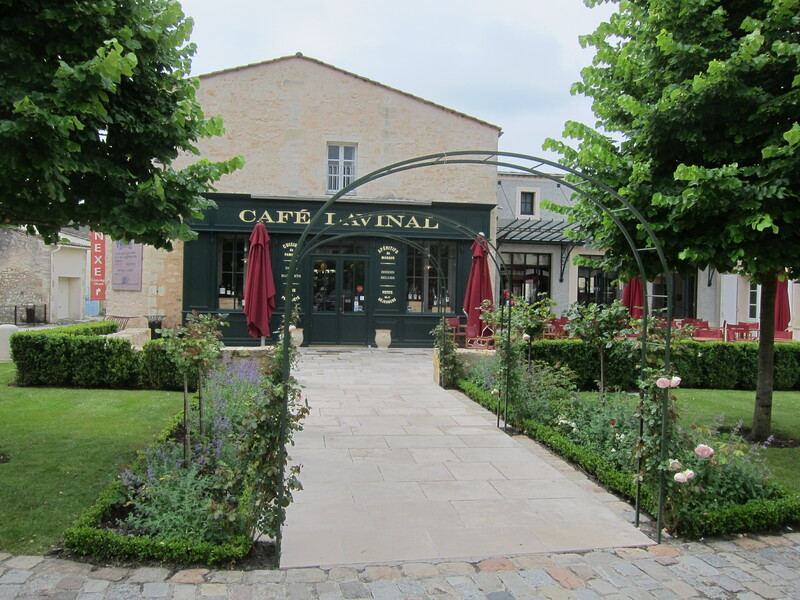 We ended our day having duck confit for dinner with the Villars at Café Lavinal in the Village of Bages, next to Château Haut-Bages Libéral, and drinking their ’05 vintage, which received 93 points from Wine Spectator. What a great way to end our second day in Bordeaux!. 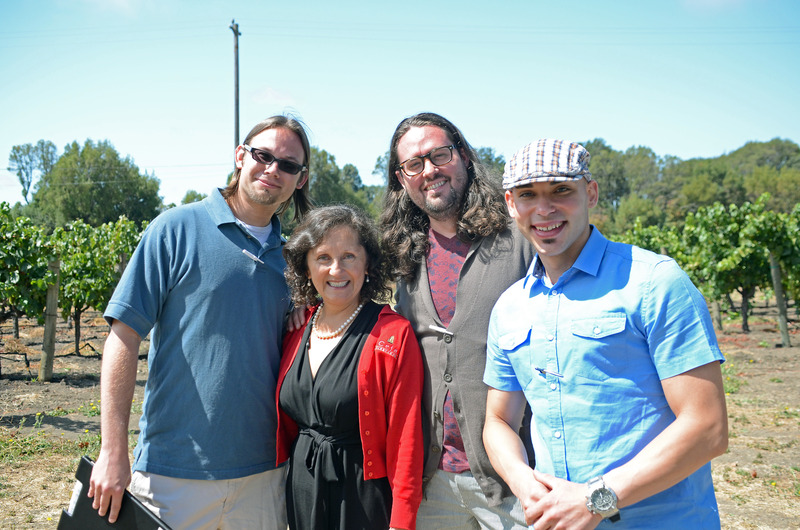 For more photos from the trip, visit our Flickr page! We have lots of Alfio Moriconi selections on our website, here are a few favorites.